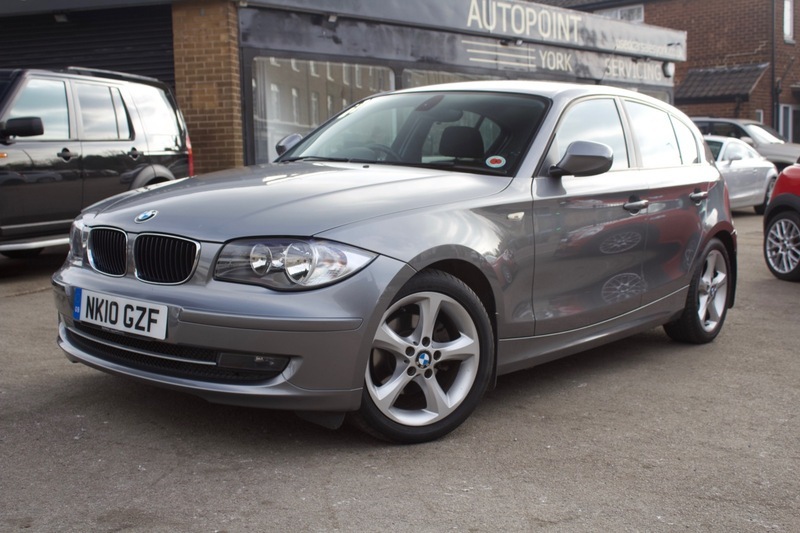 Here we have our BMW 118d Sport finished in Grey and Black interior with adjustable side bolster. White Stitching really brings out the immaculate seats. Last service BMW Cooper Newcastle 94,000. The 1 Series also comes with ABS, Air Conditioning, Alloy Wheels, CD Player, Electric Windows, PAS, Electric Mirrors, Cup Holders, Front Fog Lights, Parking Sensors and Steering Wheel Controls. The BMW comes with MOT, Service, Free AA Cover and Warranty. Extended Warranty is available. Please enquire for more details.